Are you joining the growing number of people who are leaving the cooking to the professionals for your Christmas day dinner Brighton? You’ll find yourself spoilt for choice with our Christmas day dinner listings page. Click here for our Brighton Christmas party page. What better way to celebrate Christmas day dinner Brighton than by leaving it to the professionals? Save yourself the horrors of that big supermarket shop, planning a menu to fit everyone’s tastes and of course don’t forget the washing up. 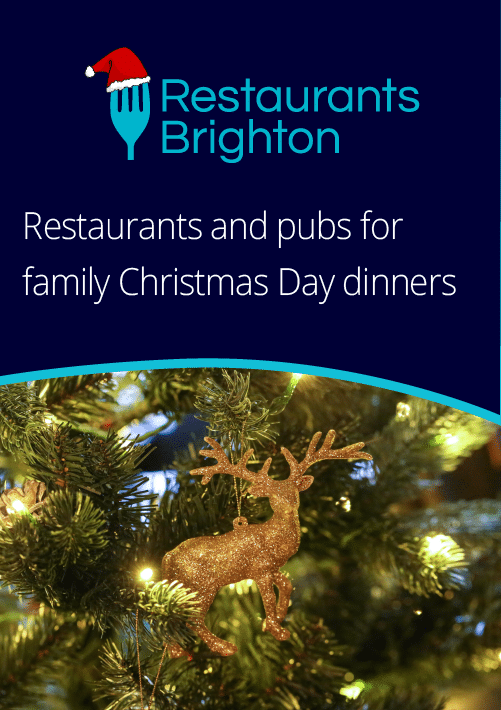 There are great venues serving Christmas day dinner in Brighton. From top hotels, which often offer accommodation packages should the inlaws be descending upon you, to top local restaurants serving everything from the classic lunch to inspired modern alternatives. At Restaurants Brighton we bring together all the best Christmas day dinner Brighton menus and offers, helping you save even more time. Because who wants to be planning on having fun when you could actually be having fun?